Generously update your decor with Bestow. Uniquely designed with a striking broad profile, Bestow comes finely upholstered in polyester fabric with dense foam padding and elegant button tufting. 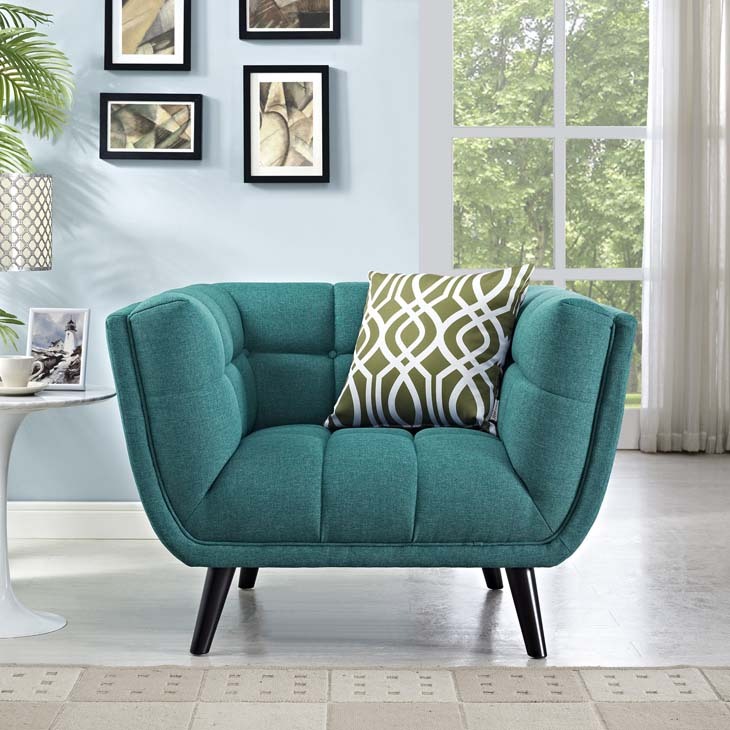 Sturdily positioned on splayed and tapered black finish wood legs with non-marking foot caps, Bestow boasts a bountiful living room seating design brimming with possibilities. 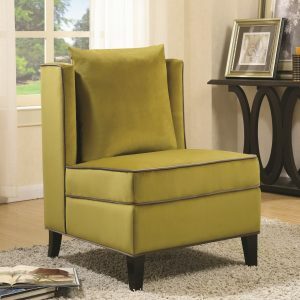 With ample seat depth and overscaled frame, invite all your guests to sit comfortably in this 12″ high back and arm rest collection perfect for mid-century, modern farmhouse or contemporary decors.